In continuation of its drive to engender innovations, the National Information Technology Development Agency (NITDA), Wednesday, lifted Katsina State on the scale of Information and Communication Technology (ICT) with an Innovation Hub, reports ITRealms. The hub located at Katsina State Institute of Technology and Management (KSITM), ITRealms gathered, is one among the six (6) of its kind to be established by NITDA across the geo-political zones of the country. Katsina State in the North Western region is one of the most populous states in Nigeria with a high number of productive youths, and the State also has given adequate attention to the ICT sector in the past through increasing commitment to exploit the latest trends in ICT for the development of the State. The Executive Governor, Rt. Hon. 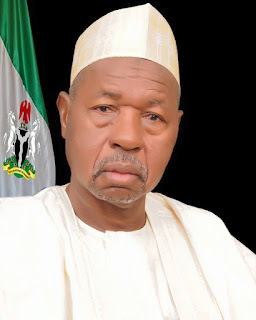 Aminu Bello Masari, who was ably represented by the Secretary to the State Government, Dr Mustapha Mohammed Inuwa, noted that Katsina State has long recognized the importance of ICT and in the pursuit of using ICT for national development, the State has established Kastina State Institute of Technology and Management (KSITM) to offer training in national diploma and degree certificates for Katsina State indigenes and Nigerians at large. KSITM, which hosts the ICT Incubation Hub has been given unrelenting attention to champion the buildup process towards ultimate e-Governance in the state through Research and Development to become a veritable platform for socio-economic upliftment of the teeming unemployed youths who will venture into competitive global entrepreneurship in ICT. The Director General of National Information Technology Development Agency (NITDA), Isa Ali Ibrahim Pantami, PhD, FBCS, FIIM, while delivering the keynote address stated that Katsina State has been providing enabling environment that encourages strategic partnerships on initiatives that attract investments in ICT and other sectors of the economy. Citing example with the establishment of KSITM to drive technological innovations in the State and environs; the MTN Livestock Tracking Solution; and the Mobile Electricity Service are some of the strategic partnership that will transform the State. All these informed the choice of Katsina State and KSITM to host the Hub. The DG further stated that the country under the leadership of President Muhammadu Buhari is seeking to minimize her dependency on oil by diversifying the economy to evolve entirely new industries and enable the existing ones. The main driver of these industries is ICT. Therefore, we must encourage and empower our pool of young talented youths to take advantage of the digital era. Innovation Hub is a social work space and research centre that provides the subject matter expertise on technology trends, knowledge and strategic innovation management. It is also an avenue to enhance learning and research through digital access to academic resources in educational institutions. The Hub is designed to increase digital penetration, provide youths with access to digital and online content through eLearning applications for effective learning and self-employment. NITDA, ITRealms recalls, is responsible for developing and regulating the IT sector of the country backed by NITDA ACT, 2007, with mandate to implement the Nigerian Information Technology Policy and coordinate other general IT development and regulation in the country through the formation of standards, policies, frameworks, guidelines, developmental programmes and initiatives. Pix: Executive Governor, Rt. Hon. Aminu Bello Masari.